90% Duck Down 10% Duck Feather. Twin pockets. It is fast, easy and safe. WOMENS NORTH FACE TEAL HOODED QUILTED JACKET SIZE MEDIUM. Condition is Used. 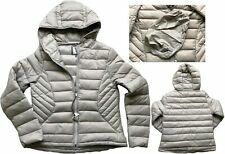 Tu down grey jacket size 12 nwt. Condition is New with tags. Dispatched with Royal Mail 2nd Class. 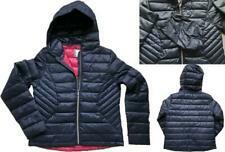 New listingZARA BLACK QUILTED DOWN FEATHER PUFFER COAT ANORAK JACKET WITH HOOD, SIZE S.
ZARA LONG DOWN PUFFER ANORAK. 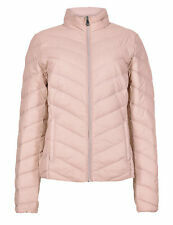 GORGEOUS, WARM AND VERY STYLISH BLACK LONG WATER REPELLENT QUILTED DOWN FEATHER PUFFER COAT ANORAK JACKET FROM ZARA. 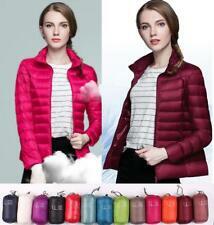 LONG QUILTED PUFFER ANORAK WITH A FEATHER AND DOWN FILLING. Colour: Due to the quality differentation between different monitors the picture may not reflect actual colour of item. In very good used condition! Colour khaki. Condition is Used, but still In good condition. Very stylish and comfortable jacket from Zara. Padded with real down, it’s very warm and fluffy. However it looks much smarter without the hood. pockets and prominent zip features. Used, but in nice condition.